Recycling is a priority in the Golden Triangle. The Golden Triangle neighborhood features 136 dual-flow recycling and garbage cans throughout its 43 square blocks. Prior to adding these special cans, the BID collected information to determine the need to provide a recycling option. 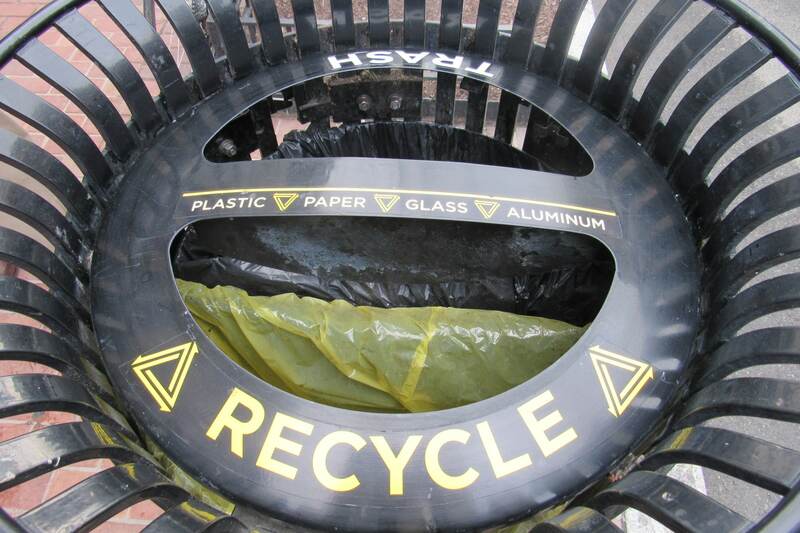 The public’s response showed a large demand to be environmentally-conscious. The dual-flow cans divide the bin to provide a recycling or trash option, without adding clutter to the street. 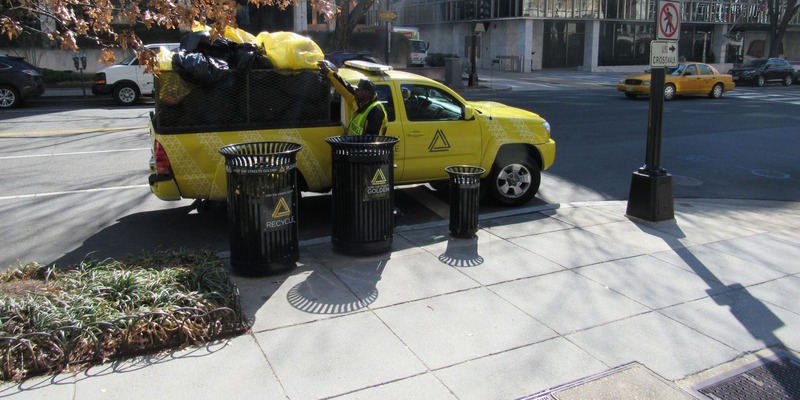 The District’s single-stream recycling guidelines mean paper, aluminum, glass, and plastic are able to be commingled and collected in a single bin.